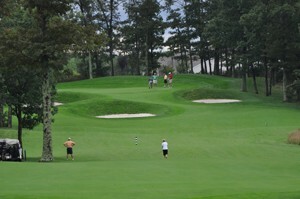 Westlake Golf and Country Club is a great place for golfers and a great place to live. Imagine waking up to a view of majestic rolling hills, carefully manicured fairways and greens, lakes and trees every day, then hopping in your cart to meet up with friends for an exciting round. And don’t forget to pop into the golf pro shop or bar and grill afterward to talk over your game! Our golf course is a full-sized, 18-hole, 6300-yard, par 71 experience. It’s truly a hidden treasure and the star of the Westlake community. Many of our residents move here just for the golf — a testament to our dedication to quality. Renowned landscape architect Arthur Hills designed our prestigious golf course. He’s designed more than 180 courses and renovated about 120 around the country, many in preparation for USGA and PGA championships. 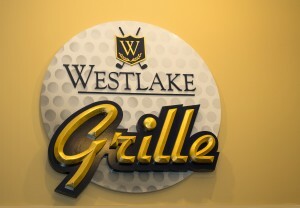 Whether you’re a skilled golfer or just starting out, you can play at any level with your peers here at Westlake. 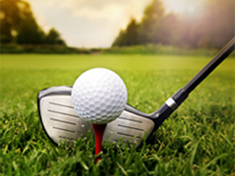 We have both men’s and women’s golf associations, at all skill levels, with golf lessons available. You can play at a competitive level, beginner level or just sign up for a social outing with some friends (and of course, you can bring guests from outside Westlake). Our PGA Golf Professional, Kevin Maciorowski, is recognized throughout the region for his play and teaching techniques. Our full service golf shop is available for all your needs, including “Demo Days” where you can try out the latest and greatest in new equipment. Bring in your clubs for maintenance, repair, and check out our merchandise. Our golf staff is here for you. Our golf memberships are competitively priced. As a new resident 50 % of your membership fee is waived for one year if you sign up within 18 months of closing on your home. And if the prior owner of your new home is currently a member, you can enjoy using their paid membership throughout the current season. One of the things that make the Westlake golf course so valuable to our residents is the incredible variety of activities and events scheduled. We offer Social Tournaments, a Club Championship and Tri-State Invitationals. If you’re up for the challenge, we’ve got it for you! We have also lent our Golf Course to the Golf Channel Amateur Tour and are the home for the New Jersey Golf Association Four Ball Championship Qualifier. For many years Westlake has served as the home course for the Jackson Memorial High School Golf Team. We have also hosted The Ocean County High School Boys and Girls Golf Tournament as well as the New Jersey PGA Junior Boys and Girl Tour. We also extend beyond New Jersey by hosting the National Hurricane Junior Golf Tour. If golf is your passion, Westlake is your oasis. Contact us for a tour of our golf course and facilities. We promise you’ll love what you see. If you’d like to play and live on one of the best golf courses in NJ, the Westlake championship golf course gives you everything you need. For more information please call our PGA Professional, Kevin Maciorowski at 732-833-7274.